Posted on 01/09/2019 Want to Be Happier in 2019? Try a Hearing Test. Posted on 08/03/2018 Use It or Lose It! Noise induced hearing loss from music has been an ongoing problem for generations. Use the volume control setting. Take advantage of Apple’s upgrade and set the maximum volume for yourself so that you are not tempted to turn it up beyond safe levels even when your favorite song is playing. Research has shown that even listening to it at its “max” volume for anything over 5 minutes can cause permanent damage. Limit the amount of usage. Limit the amount of time you use your iPod. The length of time you listen can also contribute to hearing loss. Give your ears a rest. Since both the volume and amount of time used can cause hearing loss researchers have recommended using the 60/60 rule. 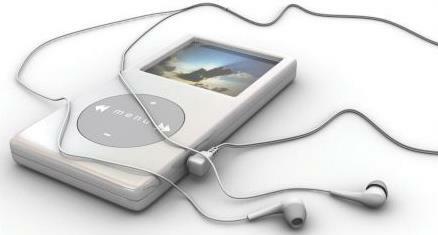 It is safe to listen to your iPod for 60 min at 60% max volume and then give your ears a rest. Don’t use Earbuds, use Noise Dampening/Cancelling Headphones. Earbuds that go in your ear are more likely to cause hearing loss than those that sit on the outside. The difference can be up to 9dB between the two different types. This is a big difference when you are going between safe to dangers levels of noise. Ex: 70-80dB. Office Hours: Please call for office hours Evening appointments now available!